Mumbai, March 22: A day after the Bharatiya Janata Party (BJP) revealed its list of candidates from the 16 constituencies of Maharashtra, its ally, the Shiv Sena, also issued its first list, naming the candidates from 21 parliamentary seats set to be contested in the upcoming Lok Sabha elections 2019. Prominent leaders re-fielded by the party include Anant Geete from Raigad, Arvind Sawant from Mumbai South, Chandrakant Khaire from Aurangabad and Rahul Shewale from Mumbai South Central. Check Full List of 184 Candidates Released by BJP. 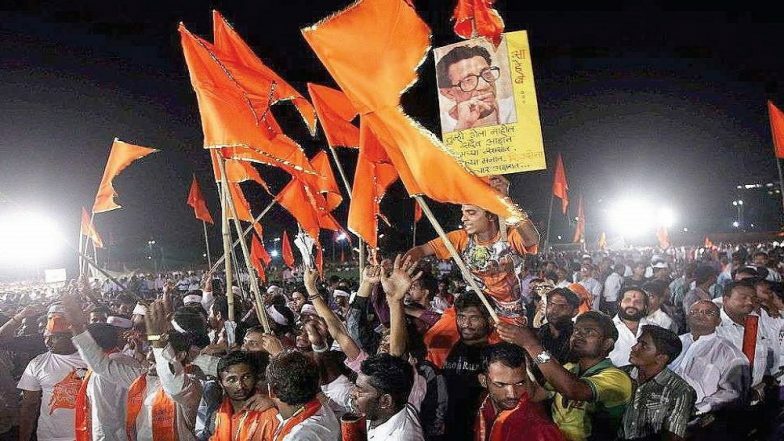 As per the seat-sharing pact inked between the BJP and the Shiv Sena ahead of the general elections, the latter would be contesting on 23 constituencies, whereas, the senior saffron ally would be fielding its candidates in 25 seats. With 21 candidates being named by the Sena in this list, it is expected to reveal the remaining two in the second list. The BJP, meanwhile, has to reveal its candidates from 9 more seats. The BJP-Sena combine, which won 41 of the 48 seats in Maharashtra, is being challenged this time by a united Congress-NCP. The two parties, who have formed a grand alliance in the state, are attempting to rope in the Bharipa Bahujan Mahasangh (BBM), the outfit headed by Prakash Ambedkar. The BBM chief has, however, has tied with Asaduddin Owaisi's AIMIM and is keen to field candidates from all seats in eastern and central Maharashtra.